Learn more about Total Joint Replacement & Reconstruction and how we can determine the best route for your treatment. Daniel M. Burchfield, M.D. Ph.D.
Dr. Daniel Burchfield is a Board Certified Orthopaedic Surgeon, with Fellowship training in Sports Medicine, specializing in the area of the shoulder, hip and knee surgery and replacement. 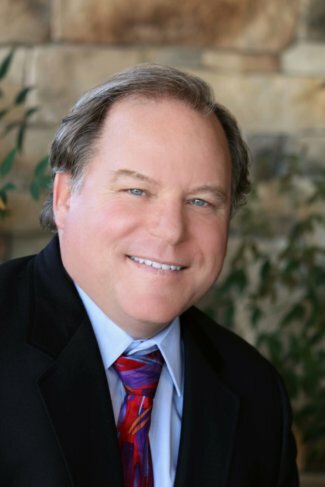 Dr. Daniel Burchfield began his orthopedic private practice in Prescott in 1998 following a teaching and surgical practice in orthopedic surgery and physiology at Texas Tech University. He has extensive training and surgical experience in knee and hip replacement, including anterior hip replacement, and revisions as well as arthroscopic surgery of the shoulder and knee. He is fellowship trained in Orthopedic Sports Medicine. Dr. Burchfieldʼs medical practice includes general orthopedic surgery including total joint replacement and total joint revisions and sports related injury treatment including, but not limited to, ACL and MCL repairs, shoulder surgery and rotator cuff repairs, carpal tunnel release and fracture care. Dr. Burchfield is Board Certified by the American Academy of Orthopedic Surgeons and a member of American Academy of Orthopedic Sports Medicine. He has published numerous peer reviewed research articles in muscle physiology and orthopedic surgery. Center and Prescott Outpatient Surgery Center in Prescott, Arizona. Prescott High School, Embry-Riddle Aeronautical University and Yavapai College. Physiology with focus on muscle physiology from The Ohio State University. where he was also a team physician. Yavapai Big Brothers Big Sisters and many other local community organizations. what is necessary. His staff is great and his office is worth every minute spent there! Ready to schedule your appointment? Give us a call. Have a question about joint replacement or reconstruction? Subscribe for updates and news from Orthopaedic Specialists of Central Arizona. © 2018 Orthopaedic Specialists of Central Arizona All Rights Reserved.